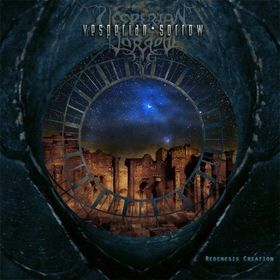 Considered the premiere symphonic dark metal band in North America, Vesperian Sorrow's music evokes the darkest depths of searing human tragedy juxtaposed with soaring heights of orchestrated symphonic melody. Their undeniable songwriting and passion sets them apart in their genre. In addition to two full-length albums released by Holland's Displeased Records, Vesperian Sorrow has been featured on two compilation albums. As well, their latest offering, "Regenesis Creation", has been released on their own label Underscape! Since their inception in 1998, they have played shows and festivals in England, Germany, Canada, Mexico, and most of the states in the US. Carrying the Texas banner with pride, VS are a band well respected throughout the entire metal community! 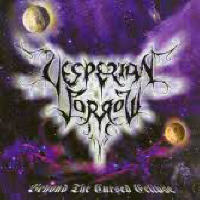 Vesperian Sorrow are living proof of the spirit of dark, death, black, progressive, thrash, symphonic, and all forms of metal, complimenting and challenging each genre their music touches with power and unfailing intensity. VS will always be a band that possesses members that love their music, and will stop at nothing to create the music they love!